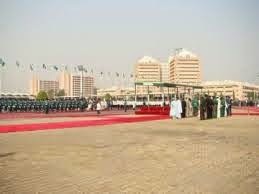 The Inspector-General of Police, Mr Solomon Arase, has ordered the closure of all roads leading to the Eagle Square, Abuja, to vehicular traffic on Friday to ensure a hitch-free presidential inauguration. The order was contained in a statement signed by Mr Emmanuel Ojukwu, police spokesman on Wednesday. The I-G also ordered tight security at the Square, hotels, key and vulnerable places in the FCT, and mounting of “Tactical Operation Points’’ on all roads leading into and out of the territory. The police boss then apologised to motorists and the general public for the inconveniences the road closure might cause them.